Spring is almost edging its way upward from the south. The wind carries with it the scent of soil and the hesitant emergence of spring growth. Last Saturday, I walked along the river and found puddles of snowdrops littering the ground. Bird song filled the air with Mr Blackbird singing to the ladies much louder than the rest. As the temperature dipped I headed home and with a hot cuppa settled down to a bit of crochet. 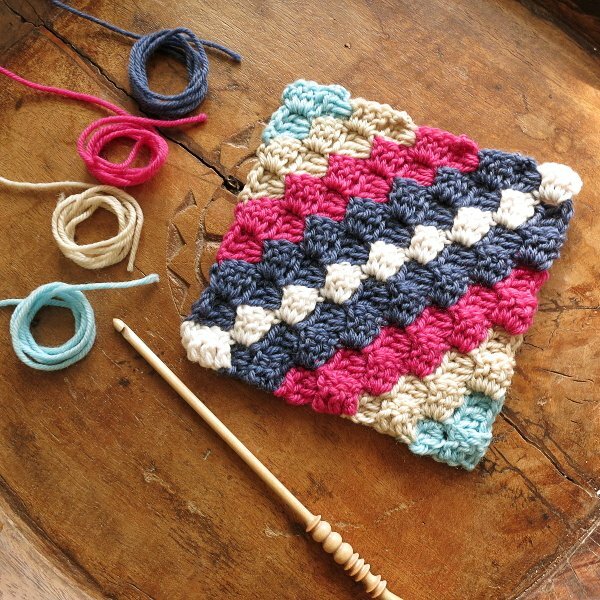 I really love corner to corner crochet and fancied making something small, manageable and quick. A c2c crochet square! My hands delved into the wool stash and came up with this palette. I added a dash of Winter White too. It takes a little getting used to working a corner to corner pattern as you have to twist your work to get the hook in the right place. But, once you get the hang of it you whizz along happily! The pattern is quick to work up once you get going too. 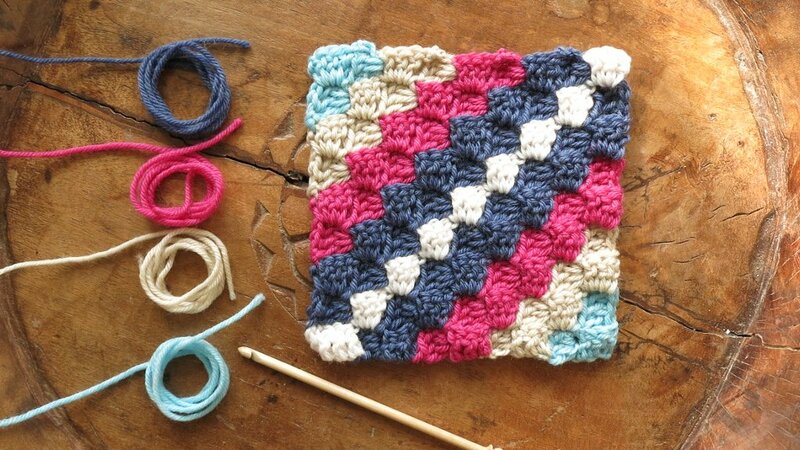 I slip stitch crocheted the blocks together in two groups of four, then joined the front and back together in the same way but leaving a gap to squeeze the cushion pad in before finishing the join. I always leave a long tail just tucked in under the crochet so I can unravel the edge to wash the cover. Muddy cat paws are always near to hand when there’s freshly crocheted woollies around! 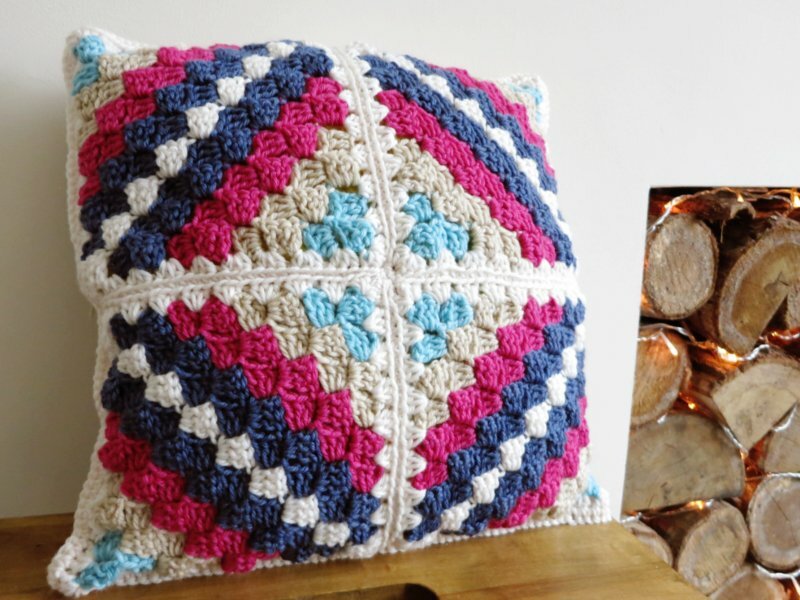 I’m so pleased with the cushion, what a lovely little project. 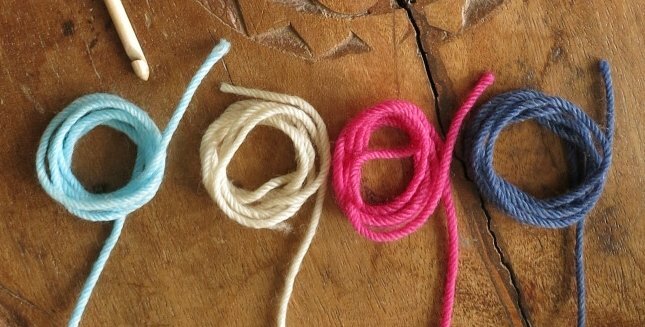 I hope you get some happy crochet time this weekend too. Like that cushion! I’m happy to have discovered your blog today, because there are so much colorful projects to see! 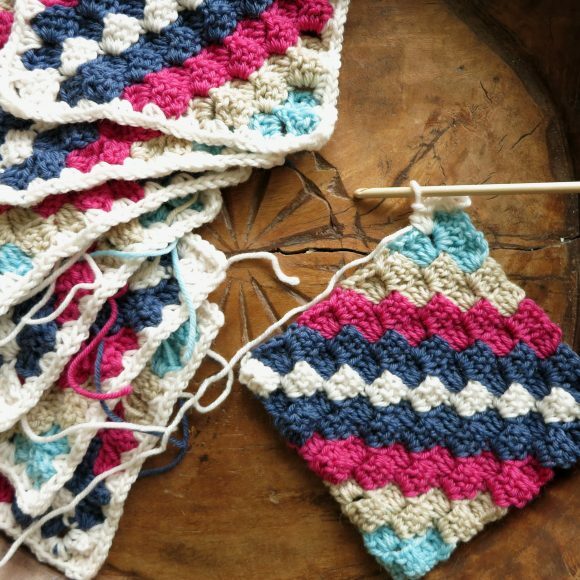 Do you have the pattern for the actual square? Not at the moment but it is on my To Do List. I’ll post on my blog as soon as its available (not long I promise! ).